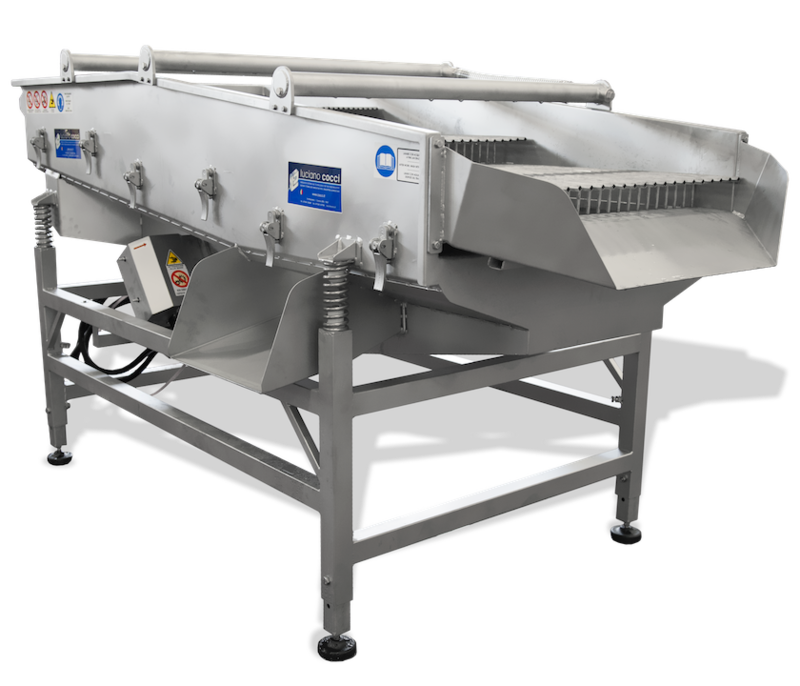 Machine for shellfish grading, specifically designed for the sectors of mussel farming and general shellfish processing. 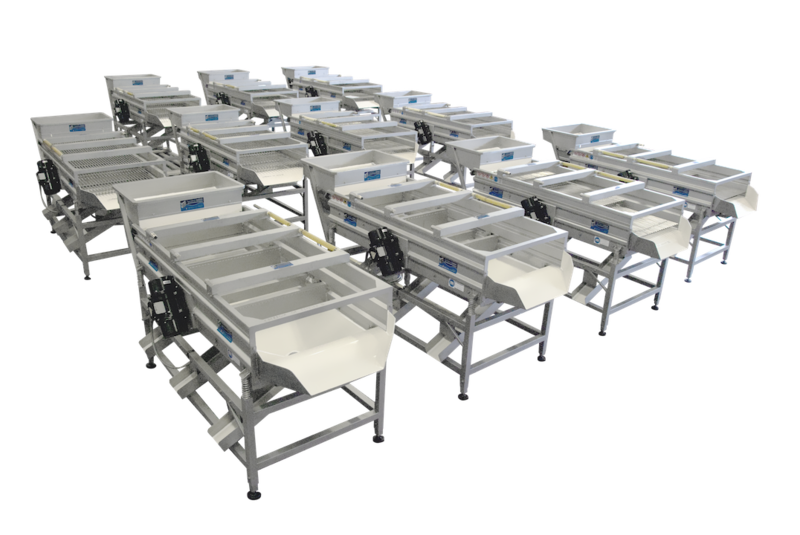 These graders are especially designed to carry out very precise selections directly on the boats that collect the product (mussels, clams, etc.) from the sea, or in land factories for further processing, having up to 3 easily interchangeable grids. The corrugated structure of the frame and the peculiar solutions utilized in the most critical points give to the machine extraordinary resistance and durability properties. 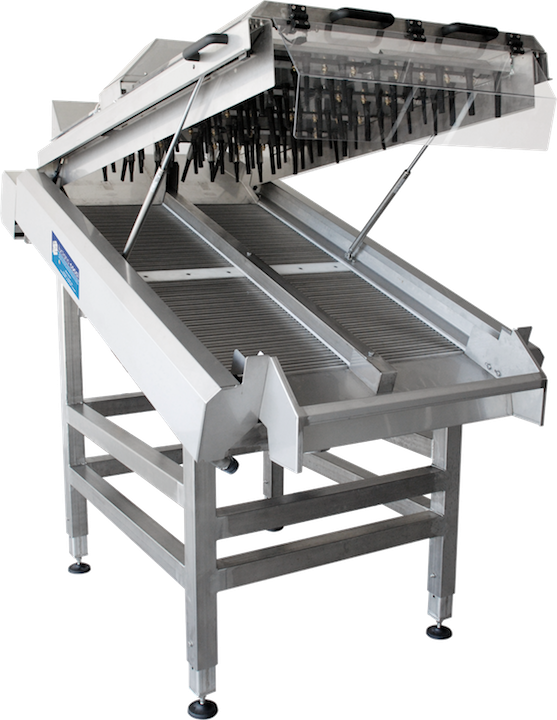 The selection is performed by grids of various types and dimensions, through a movement that is transfered by two vibrators placed on the sides of the machine. In our plants we use the best materials to work in the presence of water and moisture, and we address the aspects of health and safety down to the smallest detail. 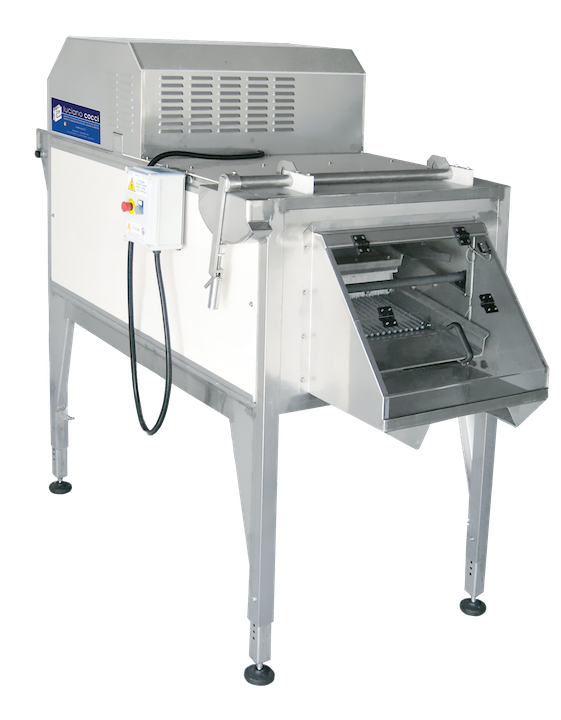 The structure of the grading machines is made entirely of Aisi 316L stainless steel and materials suitable for the contact with food products, all in line with the European Community regulations for the food processing sector. The motorization can be electric or hydraulic. 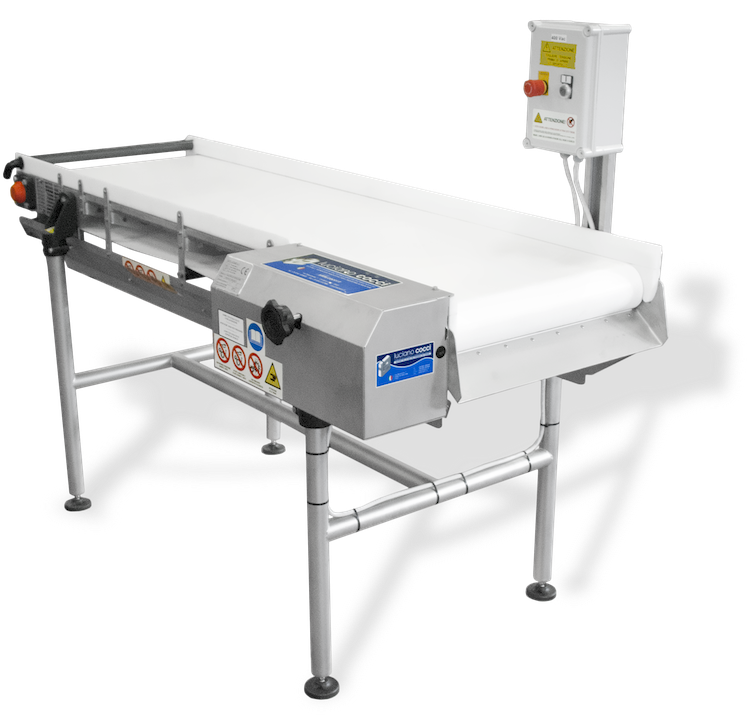 Thanks to the experience gained over more than 30 years of work in this sector, there is a grading machine suitable for all kinds of shellish and necessity. 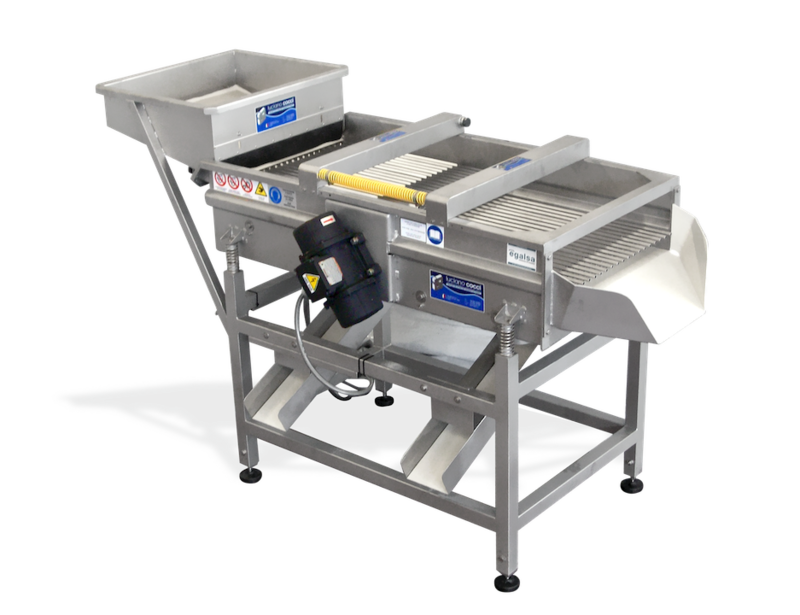 Grading machines are customizable in every detail, from the power unit to the outfeed deviations, from the type of grids to the number of selections, and so on. 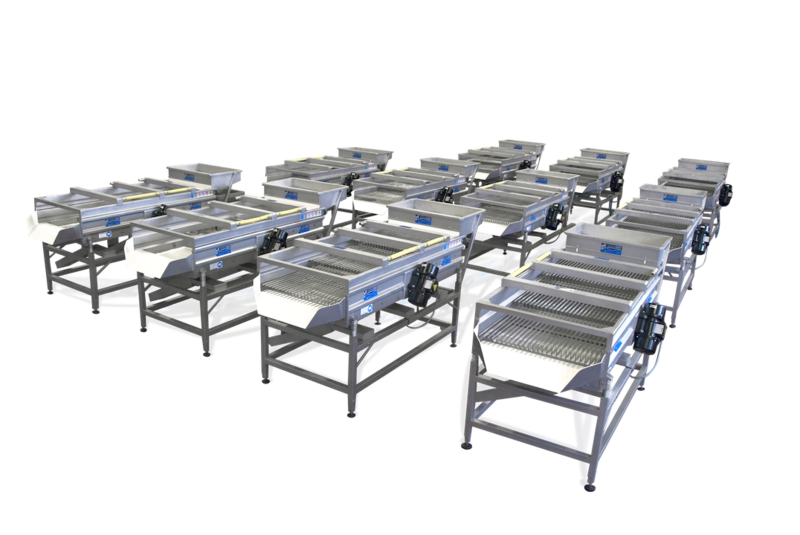 Vibrating graders can be designed and customized on request upon specific needs, even for the use in different markets with other foood products. 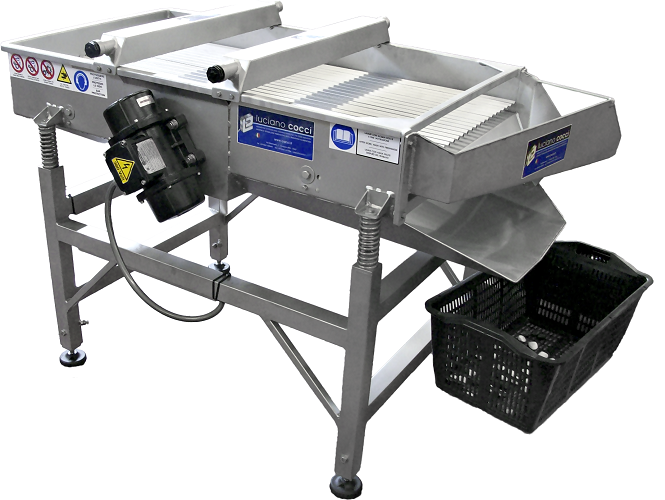 The vibrating graders are the machines that best represent our company, being the first product with which we distinguished ourselves in the shellfish fishing sector for quality, efficiency and durability, making us the absolute leaders in the global shellfish market, with thousands of grading machines sold all over the world.